So the first big crisis to strike WAR was Torn’s departure. In about mid-2001 his unit was deployed to East Timor. In all honesty, he was the better leader of the two of us. He had firm ideas and a direct leadership style. I had been coasting along doing all these creative things on the side (rules, stories, art etc) while he made decisions. Now I was sole leader and I was determined that the clan would not fail. So why would I imagine that WAR might fail? Because even at this point I could feel the excitement for HLDM in the community fading. Counterstrike was a huge attractor and FrankBooth and Evil were keen to leave to play it. I encouraged them to start a WAR team instead. WAR’s CS team was to attract several of WAR’s most memorable members, among the earliest being Evov and Lil Angel. Evov was an “every-day” (hardly) Queensland bloke in his 20s with an aptitude for solving problems. Lil Angel was a young girl (early teens?) with a great sense of humour and eager to participate. In HLDM the clan KNN collapsed and we recruited Jigger, another lad with exceptional skill. The only other HLDM clan of any note to be born after WAR was FARQ, which featured Reaper who would go on to join WAR when FARQ collapsed. Sure, DS (Darkside) transformed itself into F12, but it was still the same and was lead by Rigamortiz. So originally a Halflife Deathmatch clan, WAR found itself evolving. About this time [uY]notTricky founded the Ozlife Gaming Network. A Melbourne-based computer professional, notTricky set up a number of servers covering HLDM and CounterStrike. In his search for server administrators he recruited from FARQ and WAR. Easily the best of these was -WAR-Evov. Somehow Evov just took to it like a fish to water. 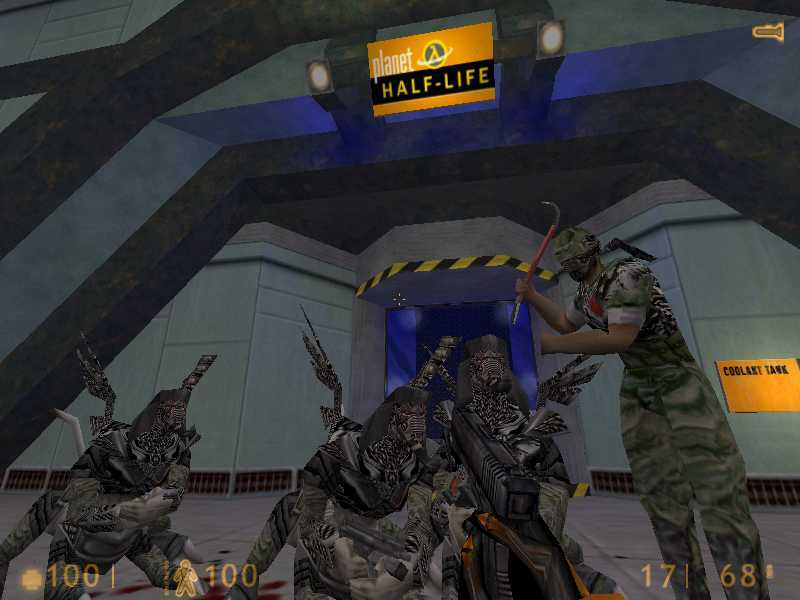 Evov’s greatest achievement was working with notTricky to get HalfLife TV working on the servers. 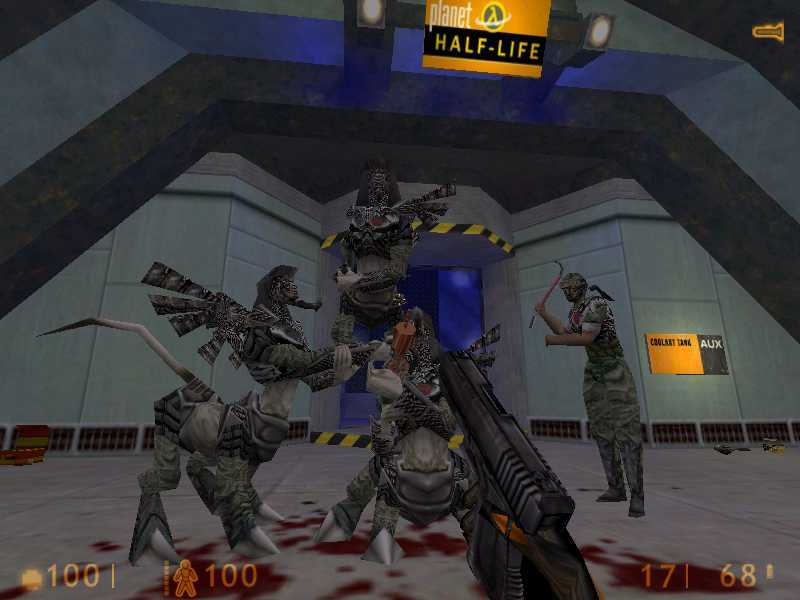 Valve had released something they called Half-Life TV (commonly known as HLTV) in the summer 2001. HLTV was a server service that permitted computer games to be broadcast from servers and viewed by anyone on the internet. Ozlife was the first gaming network in Australia to provide this (yes, we even beat the big networks!). The Ozlife website became my hobby. Richard (notTricky) gave me control to design, and so I did. I even started a column called SoulSearching where I interviewed well known players. To be honest, it was one of the great times of my life. At the time I was working as a Senior Software Engineer for an IT company and I was introduced to a Sydney-based operator who played under the name Xintis. Jerry (his real name) was a very successful owner of a business-to-business network and server company. He and notTricky pooled resources and Ozlife expanded up to 18 servers. These covered games such as Day of Defeat, Call of Duty and BattleField 1942. Meanwhile notTricky and Evov had a plan for the first major trial of HLTV in Australia. As u know I am helping notTricky to organise a competition/cup for halflife deathmatch which is open to everyone whether or not they r in clans. However there is a huge debate over the rules and the maps involved. We have Hori and Major arguing for traditional maps and traditional methods of judging the winner. We have Reaper and myself arguing for new maps and a skill-based method of judging the winner (the same as on those half-life stats pages that some servers have). Now I am not asking u to participate in the debate because I expect u to agree with me. In all likelihood at least half of u will probably side with Major and Hori. Its just that when u guys aren’t insulting each other (which has diminished a lot I see), you guys tend to have some really good insights into the game. And I would really welcome those insights. I’m pretty flexible with my position, but I want to be convinced one way or the other by clever and intelligent debate, not by ppl just getting angry. I was suprised at first at the choice of maps but really, its probably the fairest way to run a competition like this. Due to the rating system, if a team plays the same common ‘high kill’ maps they could be seen as having a higher skill level. Put us all on the same playing surfaces would give a true reading for the stat system. Well, I am very happy to see lots of ideas being discussed both here and in aus. It helps lots to organise things and see how people feel about things. I dont want people to get upset or think that they are being attacked for expressing their opinion. Because I value everyones ideas, its what makes comps like these fun for all. I have read all the posts and look through all my notes that i made while i was designing the CUP. and i can answer lots of ppl questions and the reasons why i did the rules the way i have. I am in the middle of writing up an faq web page and i will be using info from the emails i have recieved and the posts on this and they various other boards. So please keep up the discussions. MAPS are a hot topic and there is lots of discussion either way. I will explain more of the reasons why i chose those maps in the faq. Just remember this is the first time this type of comp has been done, so i hope we will all learn and have fun so the next one can be even more fun…..
After a lengthy delay the Ozlife Cup is ready to go. Because of the delay we have decided to start from scratch again. So you will need to form teams and register. At the bottom of the menu on that page you will find a link to join the ozlife mailing list. This will keep you informed. For those of you who are new, the Ozlife Cup is a Half-Life DeathMatch competition based on teams of four players. Players do not need to belong to a clan to participate, though several teams will probably be clan based. The year 2002 saw WAR really expand. Players such as Jackle, Evov, Jigger, and Awesome were casting huge shadows over the character of the clan. Jackle was a young Melbourne-based member who had joined WAR fairly early in the piece. He had a huge character and was very active on our forums. Eovo was the go-to guy. Jigger was an elite HLDM player with an outrageous personality. And Awesome was a NSW country bloke and talented competition cyclist. In fact Awesome had been among Australia’s earliest great HLDM champions when it first struck this country. I found myself playing less HLDM and more Day of Defeat. Team Fortress Classic was still a favourite of mine, but few in WAR liked it. All this said, the world for me changed in June 2002. The software division of the company for which I worked was shut down and I found myself unemployed. What was worse, I had just paid for a European holiday. My wife still worked (also as a software engineer) and so we took the holiday to Europe. When I returned in July, however, I emotionally needed something new. So I formed my own company (SoulThief Creations) and also changed games. 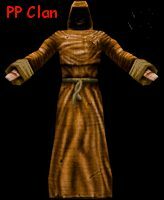 There was an interesting beta of a free Quake-based game called Urban Terror that I had stumbled across. It was multiplayer, looked a bit like CounterStrike but had a Capture the Flag mode. Howdy would you mind stating which blog platform you’re working with? I’m going to start my own blog in the near future but I’m having a difficult time selecting between BlogEngine/Wordpress/B2evolution and Drupal. The reason I ask is because your layout seems different then most blogs and I’m looking for something completely unique. P.S Sorry for being off-topic but I had to ask!